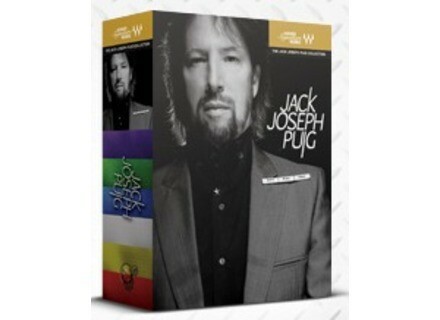 The Jack Joseph Puig Artist Signature Collection, Other effects bundle or multi-effect from Waves in the Jack Joseph Puig series. Six application-specific audio plug-ins, created in collaboration with Grammy-winning producer/mixing engineer Jack Joseph Puig. Puig worked with artists ranging from U2 to Pussycat Dolls, from Mary J. Blige to Black Eyed Peas, from Snow Patrol and Counting Crows to Sheryl Crow and Jellyfish, from Goo Goo Dolls and Panic at the Disco! to Beck and The Rolling Stones, from John Mayer and Keith Urban to Green Day and Lady Gaga. 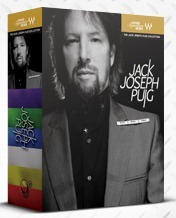 Waves and JJP have teamed up to create a limited number of autographed copies of The Jack Joseph Puig Artist Signature Collection. For full details ont this product, check out www.waves.com/content.aspx?id=10237. Leoné MusicReader for the iPad Leoné MusicReader B.V. released the iPad version of the MusicReader software, turning the device into a digital music stand. PowerFX AudioLocker PowerFX, developer of Soundation Studio, is proud to announce the release of AudioLocker. Independence Pro Limited Edition Best Service and Yellow Tools offer a limited edition -999 items- of the Independence Pro sampler package.